Earthquakes have created some New Zealand waterfalls, often through the upthrust of rock along a fault. The Murchison earthquake of 1929 produced the Maruia Falls through a different process – a landslide in the Maruia Valley, shown by the dotted lines. 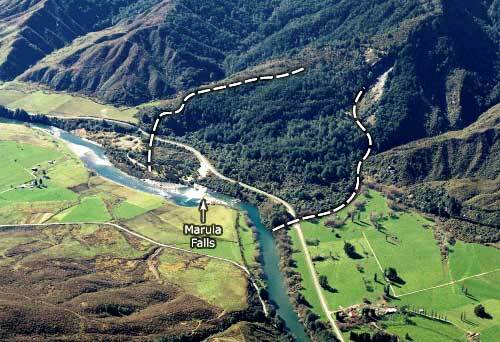 This diverted the course of the Maruia River further west, forcing it to cut a new channel over an old river bank. Once the river had eroded the gravels, the bank became the Maruia Falls.